Asian Man Calculating Expences, Trying To Solve Budget Problems, Looking At Papers, Managing With Utility Bills. Lizenzfreie Fotos, Bilder Und Stock Fotografie. Image 116540563. 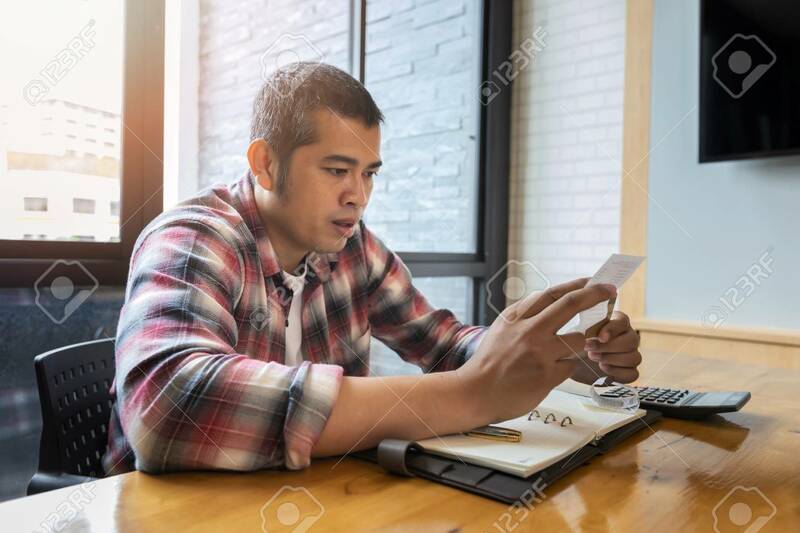 Standard-Bild - Asian man calculating expences, trying to solve budget problems, looking at papers, managing with utility bills. Asian man calculating expences, trying to solve budget problems, looking at papers, managing with utility bills.